How did you hear about SantaBarbara-Realtor.com? 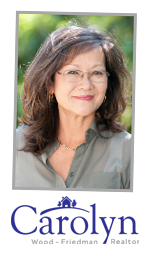 How can I best serve your needs with regards to your inquiry into Santa Barbara real estate? Describe your style and taste when it comes to the property/home you envision for yourself, your family, your business. What activities/hobbies or other interests do you have and how do they influence your real estate decisions? What draws you to Santa Barbara? Have you previously worked with other realtors in Santa Barbara?